Eat Free-Range and Beyond Organic! All Prices are subject to change without notice. Timeframes are subject to Mother Nature. Humanely raised on pasture free of antibiotics or pesticides, augmented with non-GMO & Soy-free grains, they're harvested at 12 weeks to ensure consistency in weight and tenderness. Dressed weights on these meaty chickens are are 5 1/2 - 6 lb. These birds are young, tender, and very tasty. Excellent for roasting, grilling, or frying. These are not itty bitty birds - they are BIG roasting chickens! At 98% or greater fat free, Muscovy meat is one of the healthiest on the market today. It's lean and not at all greasy, as is the case with commercial duck. Many say the breast meat of a Muscovy is hard to tell from a Sirloin steak; others compare the meat flavor to an expensive ham, I believe the breast has the texture of veal. Either way, it is as unique as it is tasty and nutritious. It's wonderful grilled with a sage marinade or braised with tomatoes, red wine and a bouquet garni. 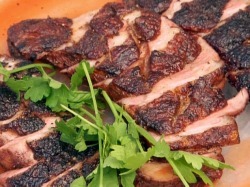 Duck meat is also remarkably flavorful when made into lean sausage and used in all sorts of delicacies, from meatballs to stuffed grape leaves. Raised Free & Humanely without antibiotics or pesticides and augmented with non-GMO & Soy-free grains. 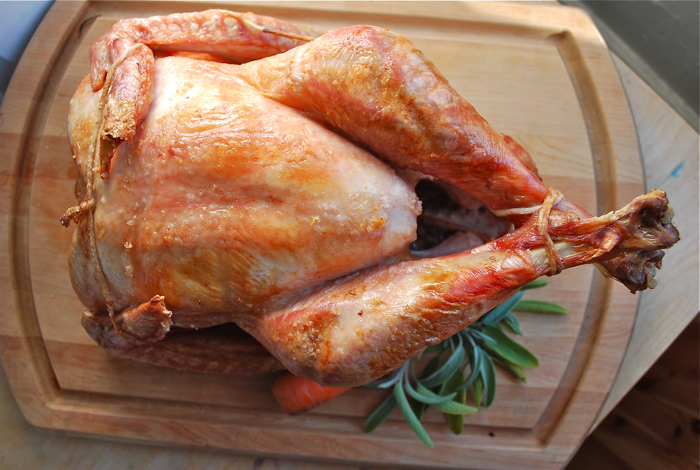 This is the perfect single serving whole bird! Think of it as the cornish game hen of ducks. Birds dress out at about 2 1/2 pounds which is just the right amount for one hearty eater or 2 light eaters. 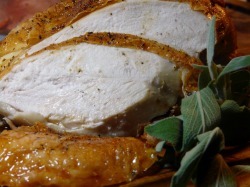 The breast possesses a succulent, dark meat with a wonderful clean and mild flavor. Humanely raised on pasture free of antibiotics or pesticides and augmented with non-GMO & Soy-free grains, these turkeys take their sweet time growing out on pasture for 5 months! Still young and tender at harvest time, the average weight is 18 lbs and 25 lbs. Grown out the old fashioned way, these beautiful and meaty turkeys have been soaking up the sunshine and grazing on green grass so that you can enjoy a full flavored, juicy bird this Thanksgiving. Known for a generous amount of white breast meat, this turkey will make an excellent centerpiece for your on your holiday table. Raised Free & Humanely without antibiotics or pesticides and augmented with non-GMO & Soy-free grains, these Narragansett turkeys are raised by mama turkeys free on pasture for 8 months to ensure you a tender bird for your Thanksgiving table. With darker meat and deeper flavor, these heritage birds offer a distinctive and rustic eating experience. The dressed weights are 10lbs and 18lbs. With darker meat and deeper flavor, our heritage turkeys offer a distinctive and rustic eating experience. 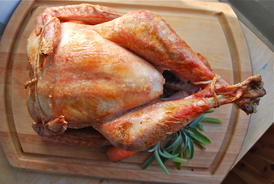 The Naragansett turkey is from the oldest continuous stock of heritage turkeys, brought to America by colonists in the 1600's and were the market turkey of choice until nearly 1900. Unlike their modern cousins, they grow at a slower pace and they are not as large as the modern traditional table-bird but what they lack in size they make up for by yielding a naturally firm and moist meat with an full authentic turkey flavor... the entire turkey is dark meat, even the breast is darker. A true American heritage centerpiece on your holiday table. Raised Free & Humanely without antibiotics or pesticides and augmented with non-GMO & Soy-free grains, ​ this is "slow food" at its finest! These geese are raised free on pasture by mama goose and will be harvested at 8 months for an 9 - 11 lbs dressed weight to ensure a very tender bird for your table. 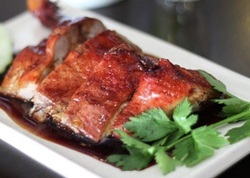 The richness of goose meat requires wines with a balance of opulent texture and acidity to match the fat in the dish. Big and jammy won't work here, even when the meal is prepared with fruit. It is, however, the perfect time to break out that bottle of old Cabernet or a Zin with lighter fruit profiles and more dried-herb and spice overtones. Another great match is dry whites of Germany and Austria with their intense minerality and high acid, they are great with hearty winter dishes. 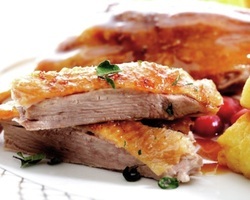 Culinary Tip: Clean, rendered goose fat will keep for up to 6-9 months, refrigerated, and longer if frozen. It's great to use for roasting or sautéing potatoes and vegetables. ​Humanely raised on pasture and sold here as whole lambs "on the hoof". Our sheep remain free of antibiotics, pesticides or herbicides and we augment pasture with locally milled non-GMO & Soy-free grains. These lambs are raised naturally on their mother's milk while out to pasture where they graze through fields of grasses and clover. Our sheep are Poly-pay, a wonderful multi-purpose breed known for their exceptional flavor profile and "non-gamey" taste. 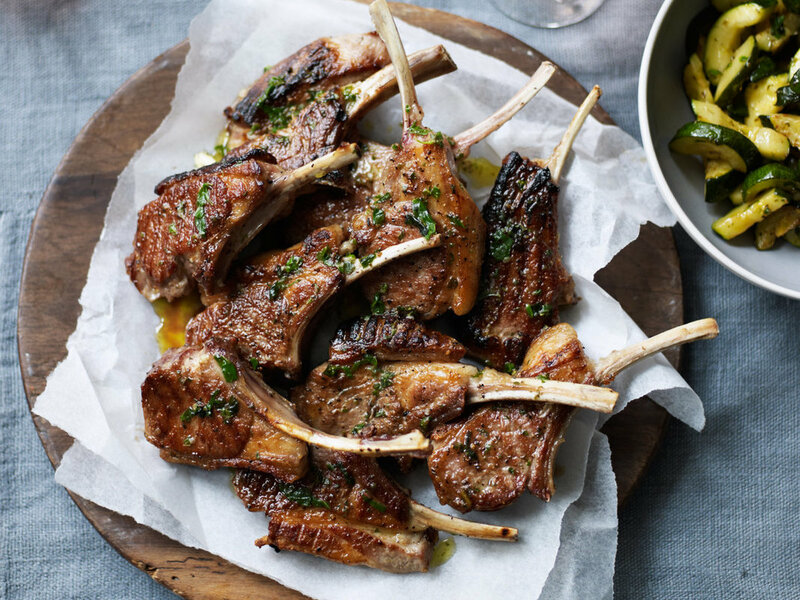 Grassfed Lamb is one of the healthiest sources of red animal protein - packed with iron and of a significantly higher heart healthy omega-3 fatty acid than its beef counterpart. Tender, moist, and fantastic to prepare on the grill, in the oven, in the crockpot, or wherever your culinary imagination takes you! No surprise to our nose-to-tail devotees and adventurous cooks, purchasing a whole lamb gives you the opportunity to have access to all parts of the animal because you'll have a direct dialogue with us as the farmer as well as the butcher. Our lambs typically hang between 45-65 lbs. A whole lamb will generally fit in a half-bushel CSA wax box or a paper grocery bag. The amount of meat that you get back will depend on how you decide to have the lamb cut (more bone-in cuts = more poundage back. If you're looking for "mellow mutton", that wonderful fat-capped meat from two-year-old ewes, please give us a call because this year we've got 'em! ​Humanely raised on pasture and finished on acorns in our woodlot, they remain free of antibiotics or pesticides and are augmented with locally milled non-GMO & Soy-free grains - sold here as whole hogs "on the hoof". Pastured pork is all about letting the pigs be pigs. It is a return to the old way of raising hogs, the way it was done in our grandparents day: these happy animals convert high quality forage into top quality meat. As no surprise to our nose-to-tail devotees and adventurous cooks, purchasing a whole hog gives you the opportunity to have access to all parts of the animal because you'll have a direct dialogue with us as the farmer as well as the butcher. These happy hogs are 75% Berkshire and 25% Kune Kune and they reach their market weight slowly and naturally as they feast on fresh greens and woodlot acorns augmented by locally milled GMO & Soy-free grains. 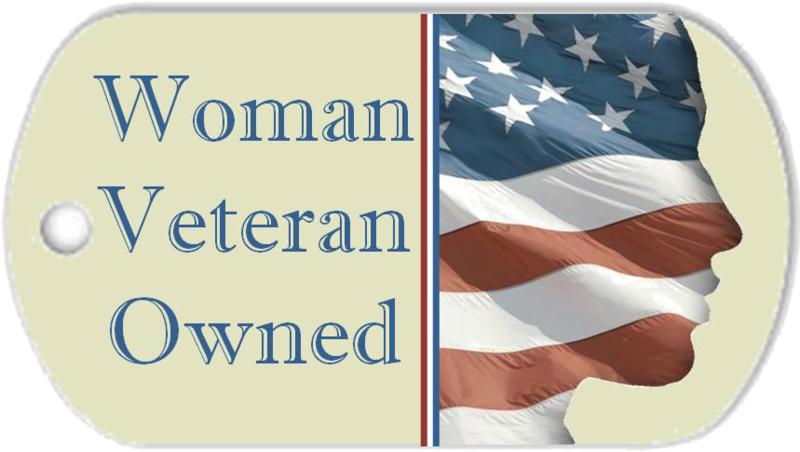 We offer them in a very limited quantity twice a year for harvest in March and October. Berkshire pork is considered the "Kobe beef" of the pork world, with tender, dark, juicy meat that has high marbling and intense flavors. Kunekune are a lovely rare heritage breed bringing a meat that is red and amazingly luscious with a generous fat and meat ratio. Our efforts are to produce a quality, marbled meat as well as a good amount of usable fat that is that is high in omega 3's, vitamins, minerals. How does this hog ordering thing work? When we have hogs available for sale, we take your orders using our order form above for our whole hogs along with a deposit to hold (and feed and love) the pig until harvest. Due to Maryland legalities, you’ll pay us for the live pig, we transport your live pig to our USDA butcher, then you pay a separate fee to the butcher at the time of pick up. The butcher’s price will depend on the type of cuts you order and any curing you request via the cut-sheet (we’ll help you with that part) but expect the average processing fee to be about $200. This year we used Wagner Meats in Mt. Airy, MD. Our hogs will typically weigh approximately 250 lbs “on the hoof” (live weight). The dressed (or hanging weight) will be about 70% of the live weight. Therefore, you can expect a 250 lbs hog to yield about 135 lbs of pork; this percentage includes the fat and soup bones, etc. 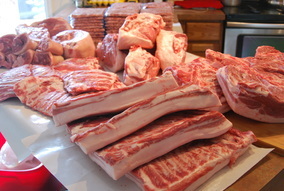 Your final take home weight will vary depending on your break-down via the cut-sheet (bone-in, boneless, curing, etc). Please be aware that curing at the butcher takes extra time (usually several weeks) as well as an extra cure fee (average $1/lbs). You may split it with someone else, but we'll need one person to be responsible for the entire order. A $100 deposit is due when you send in your order form. Whole hogs are $450; all deposits are non-refundable. Reservations will be available at the top of this page through an automated order system 2-weeks prior to the harvest date. At that time I'll send an email to my mailing list then I'll use twitter to send a tweet to my followers. As animals are selected for harvest, about 2-4 months out, this page will be modified with an estimated harvest date. About 2-weeks before the estimated harvest date we'll know the birds and rabbits have grown out according to plan and that's when the reservation link is will be posted. NOTE: We are a tiny operation so these harvests are small, typically 25 packaged birds will be available for each type (sometimes less if that's what Mother Nature gives us). Often, families will want these birds fresh for a special occasion and it's disappointing to turn them away only to discover that the reserved birds were not picked up. Please do not hold more birds than you intend to purchase and please, please purchase the birds you do reserve. It's our hope to avoid implementing a "deposit to hold" system. Also, read the description of the bird carefully. It's very easy to estimate how much the packaged bird will cost - new customers are always surprised by the large size of the birds. We raise them primarily for our own consumption so they're all natural, healthy, and have a tendency to be husky :-) It's first come, first served and the size you need may not be available later in the day. Feel free to call me on the morning of pick-up to find out what sizes are available, at that time I can set aside the bird you want.